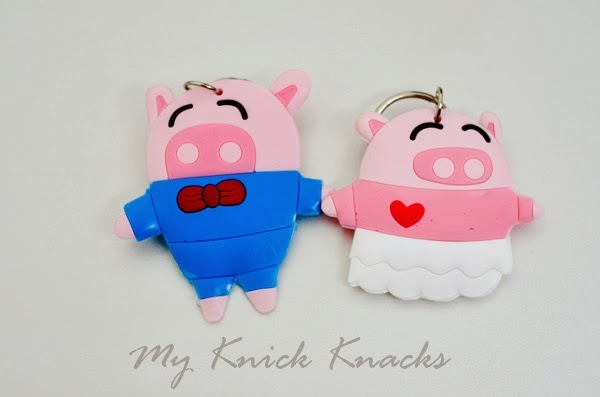 Mr. & Mrs Piggy Wishes Happy Horse Year To All " Gong Xi Fa Cai "
"Gong Xi Fa Cai "
May the Horse year brings peace, joy, health, happiness and wealth to all. Yay ! 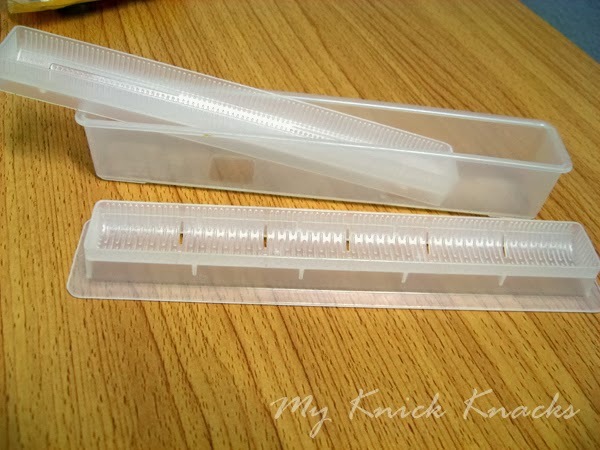 another sushi mould to my sushi making collection ! I make my own sushi sometimes when I am in the mood for Japaneses food . 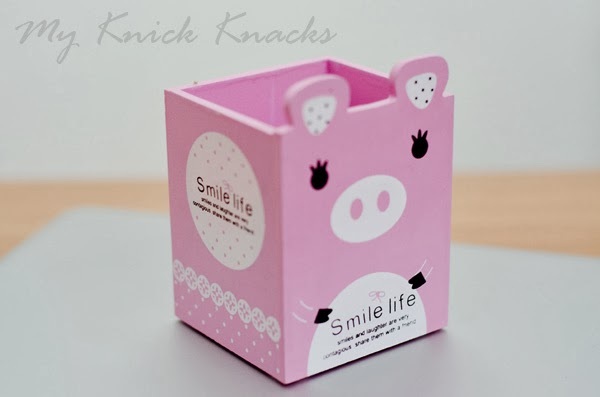 My Piggy Cuz is also a great fan of sushi and she asked me if I have come across sushi shop in Nice. She said the sushi are special. She asked if I know how to make cheese sushi ? I told her of course ! :p With this maki sushi roll mould , I can make sushi of anykind she wants :) Maki sushi packed with avocado and cheese...mmmm yummy ! 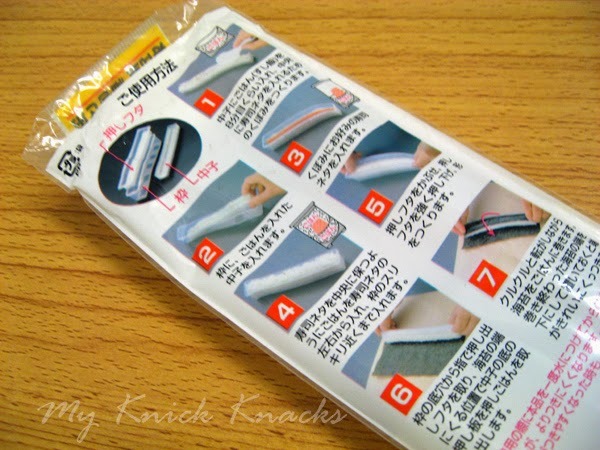 I found this maki sushi roll mould from a Japanese shop. It has simple picture instructions on how to use it. 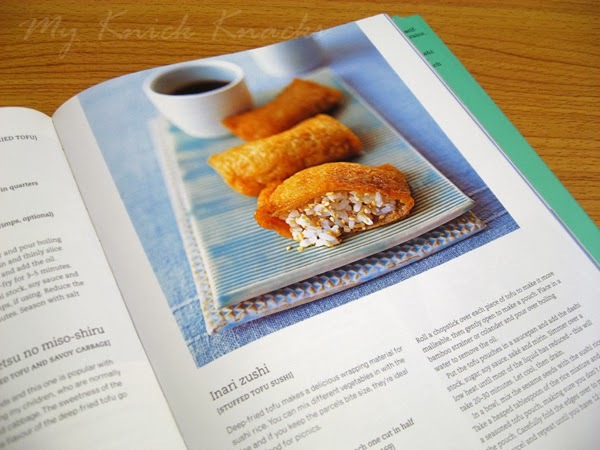 Simple and you can have a perfect maki in seconds. Not expensive and very practical . Good buy ! This is another great book given to me by Piggy Joanna. 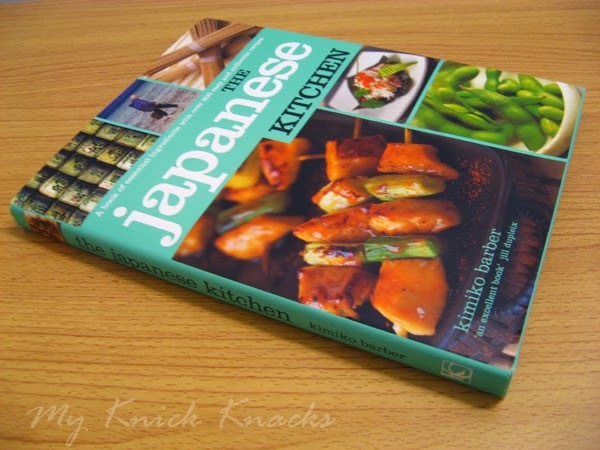 Titled " The Japanese Kitchen " is a book of essential ingredients with over 200 easy and authentic recipes. 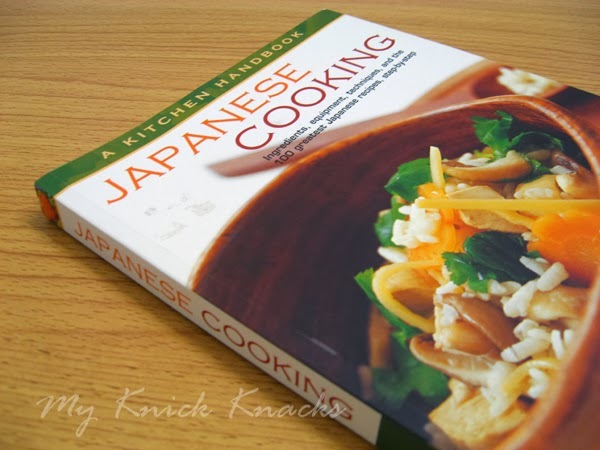 Recipes are by Kimiko Barber. 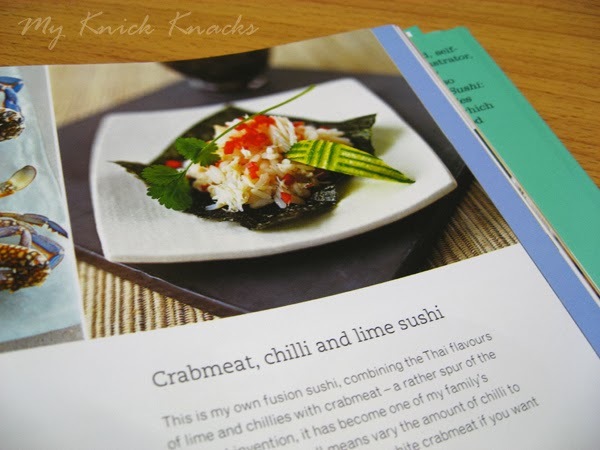 Through informative prose and beautiful photography and it tells the full story behind Japanese cuisine and makes it inviting and accessible to all. I am thrilled to bits just flipping through the book. I have bookmarked a few recipes and shall be trying it out. 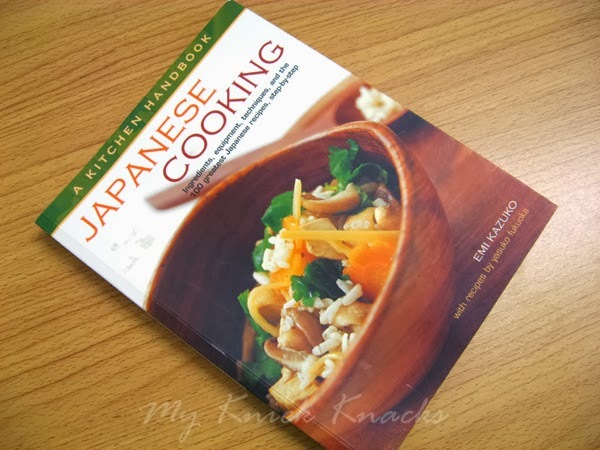 I understand that Kimiko gives cooking classes in UK and it is an honor to possess a book by Kimiko. 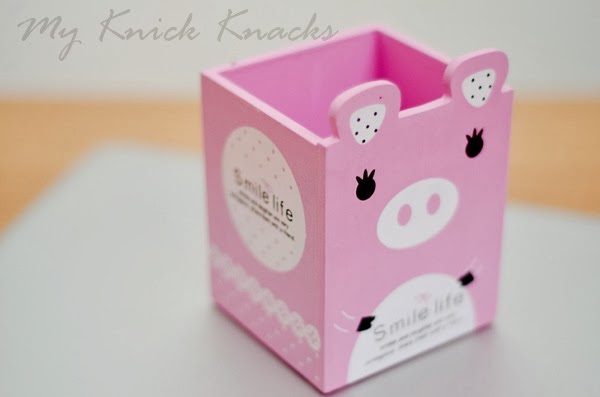 :) Thank you Piggy Joanna for this book. I truly love it. It is very informative and I know for sure I will immersed in the book for the next few days. Btw, do check out Sushi Bar if you are an avid fan of sushi. I look to check in to see what they have to offer and get inspiration too :) Love sushi all my life . I love this book very much and thank you Piggy Joanna for this Christmas gift. 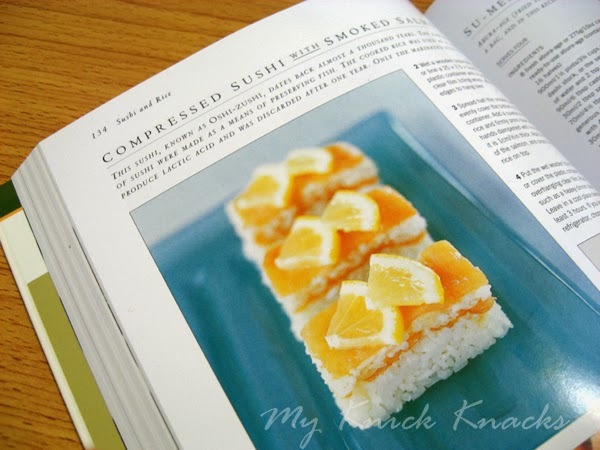 I shall treasure it and when you are back for your holiday, I shall make this compressed sushi with smoked salmon for you. So for the time being, just drool over it LOL! yea , I am the wicked Momsie alright !